eBay removes all iPhone listings with Flappy Bird installed :: Boffer Ecommerce News! The hysteria surrounding the removal of Flappy Bird has come to an immediate end after eBay removed all listings with iPhones that have Flappy Bird installed on them. Entrepreneurial iPhone owners jumped on the bandwagon on Monday after Dong Nguyen pulled the game from Apple app store. They realised they could make some serious money, with some phones being auctioned for up to £50,000. However eBay have a strict policy on the site where all smartphones and tablets sold are required to be restored to their original settings. eBay have been cancelling all listings with Flappy Bird iPhones and sending sellers the following message. - Listings have been removed. Smartphones and tablets must be restored to factory settings before they are allowed to be sold on eBay. Please remove all content from your device, including the game Flappy Bird, before you attempt to list your item again. Please be sure your current and future listings follow these guidelines, keeping in mind that additional listing violations could result in the suspension of your account. 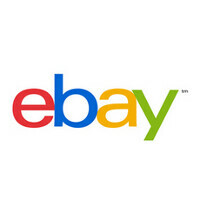 We understand that you may have been unaware of these guidelines, and we encourage you to learn how to keep your experiences on eBay successful. So unfortunately the opportunity to make some serious money from Flappy Bird has passed! However if you just want to play the addictive game without shelling out thousands of pounds, there is apparently now a site that allows you to play Flappy Bird using the browser on your phone or tablet, thanks to HTML5 and its completely free!